The logistics company’s transport network is dedicated to the automotive industry, and has hubs aligned to OEMs and tier suppliers. DHL’s service focuses on collecting materials from tier suppliers, consolidating loads, shipping to the UK or into Europe, deconsolidation of materials, sequencing and deliveries. 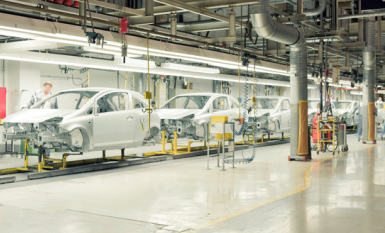 “In the automotive sector, we are forecast to enter a somewhat volatile period,” said Martin Dougherty, VP of business development and account management, automotive at DHL Supply Chain (UK). “The future shape of the industry is uncertain – this collaborative network is one way in which DHL can help tier suppliers to reduce overheads, operate more efficiently and help to reduce their carbon footprint.